We’re thrilled to celebrate our talented and hard-working Hemet dental assistants for Dental Assistant Recognition Week, March 6-12, 2016! Our Hemet dental practice wouldn’t function effectively without our caring and friendly dental assistants! They greet and care for our valued patients and perform many of the vital day-to-day activities that keep our practice running smoothly! Assist the dentist during treatment procedures. Provide Patients with instructions for oral care after surgery or procedure. Above all else, Joanie, Ivette, and Briana are keenly interested in keeping you comfortable and informed throughout your visits! We’re thrilled to celebrate our dental assistants this week! Dr. Larrondo and the entire team at Larrondo Family Dentistry would like to invite you to get to know them during your next visit – whether you’re a new patient or a long-time friend! 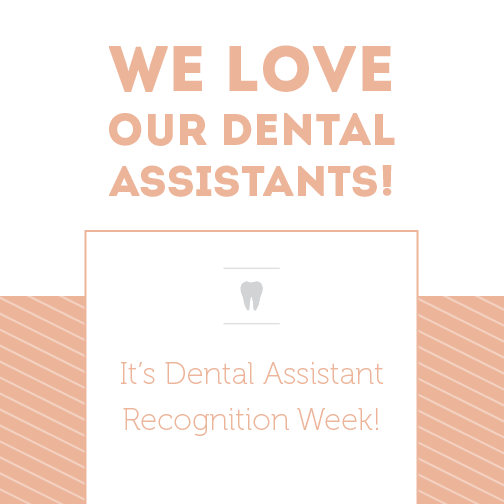 Celebrate Dental Assistant Recognition Week with us – tell Joanie, Ivette, and Briana how much you appreciate them in the comments below!